Join EFT International's certified and compassionate EFT trainers for hands-on, in-person EFT tapping courses. EFT International trainers strive to be the best, and they want to help you get the full benefits of the simple yet powerful tapping tool. Together, you can learn foundational as well as advanced tapping to improve your emotional health, assist family and friends, or take your professional therapeutic practice to new heights. Search this listing when you are ready to explore the many in-person EFT training courses or EFT-related specialty classes, courses or workshops available from EFT International Trainers worldwide. Members can also search for supervision and mentoring groups available in-person or via webinar. If you are new to EFT, you can also search for introductory workshops taught by EFT International Trainers or Practitioners. All our member Trainers agree to teach to EFT International standards for EFT certification and training. How do I sign-up for an EFT introductory class or training course? Browse the list of events on this page and click through to get more information. EFT International Trainers and Practitioners host their own individual EFT events and trainings. They also set their own fees for the training courses and certification package but generally prices are similar within specific countries/states. To learn more or sign-up for an event, click through to the host’s website or contact the host via their email or event registration link. You can also see a list of all EFT Trainers in the practitioner directory . Feel free to contact them directly if you have questions or want information about their trainings. 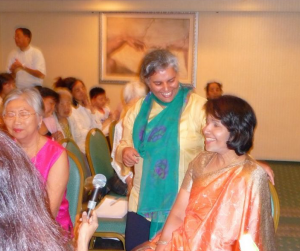 How are EFT workshops and events organised? You can filter events by category, such as EFT training workshops or introductory EFT classes. You can also search by country where events are currently scheduled. EFT trainings and events are being added weekly, so check back regularly (or get in touch with a local trainer) if you are interested in an event in your area. Who can benefit from EFT workshops? Laypeople, therapists, coaches, mental health providers, moms and dads – all can benefit from hands-on EFT training workshops. EFT International Trainers offer two-day, hands on EFT Level 1 and Level 2 workshops as well as combined Level 1/Level 2 courses. 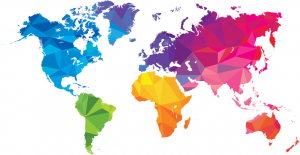 What sets EFT International courses apart? EFT training courses taught by EFT International trainers are in-person courses where 1-to-1 interaction and supervision help participants learn EFT skills, practice them with others and receive feedback. Hands-on, interactive learning environments are the best way to experience the benefits of EFT and share new skills with other like-minded students. Does EFT International offer online EFT training courses? While some components of EFT training can be online – such as pre-course reading, post-course follow-up or supervision and mentoring via webinar, all EFT International EFT training courses require in-person classroom hours. EFT International believes hands-on interaction and supervision is the best way to initially learn EFT. Are you wanting a more comprehensive understand of EFT Tapping? 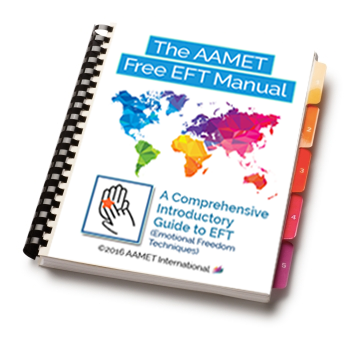 This introductory guide (.pdf) includes enough tapping basics, how-to skills, questions and answers, and essential Art of Delivery tips to get you discovering EFT on your own. Get your free copy when you subscribe to our EFT International Advancing EFT Community Newsletter. This monthly bulletin features the latest in EFT research, tapping stories and upcoming events for all explorers of EFT tapping. "I've been looking at a lot of EFT material and I want to tell you I think your manual is the single, best written work of them all. I was very happy to share it with my niece and with a new patient and will be doing so from now on."